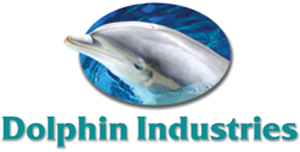 Dolphin Industries is the top manufacturer of one-piece fiberglass swimming pools. We believe in providing the highest quality products and take pride in building our pools with the finest resins available. If you are a dealer interested in fiberglass swimming pools, please contact us for more information. Customers get to choose from a wide range of one-piece pool designs, allowing them to select the perfect style of pool for their property. There are numerous color options available so you are sure to find just the right hue. Installations are surprisingly fast and easy, minimizing the inconvenience to you. Our customer friendly service is another aspect that separates our pool company from the rest. In addition, our company has developed and manufactured amusement park rides for some of the largest theme parks in the world. Our company has also built custom sport fishing yachts ranging in size from 29’ to 51’ and re-engineered the structural integrity of various high-speed offshore racing powerboats. These custom built powerboats have won consecutive world and national championships. Contact us to for more information about the advantages of choosing our fiberglass swimming pools. We proudly serve Egg Harbor City, NJ.